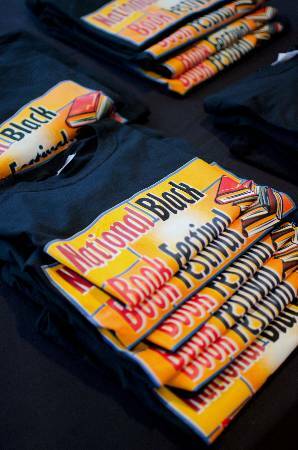 Obtain your colorful, durable National Black Book Festival t-shirts for only $15.00 each. Made of 100% cotton, preshrunk. Black t-shirt with NBBF logo centered on front. Sizes S, M, L, XL and XXL available. Order by selecting your size, then clicking "Add to Cart" below. T-shirts will be shipped within 48 hours.